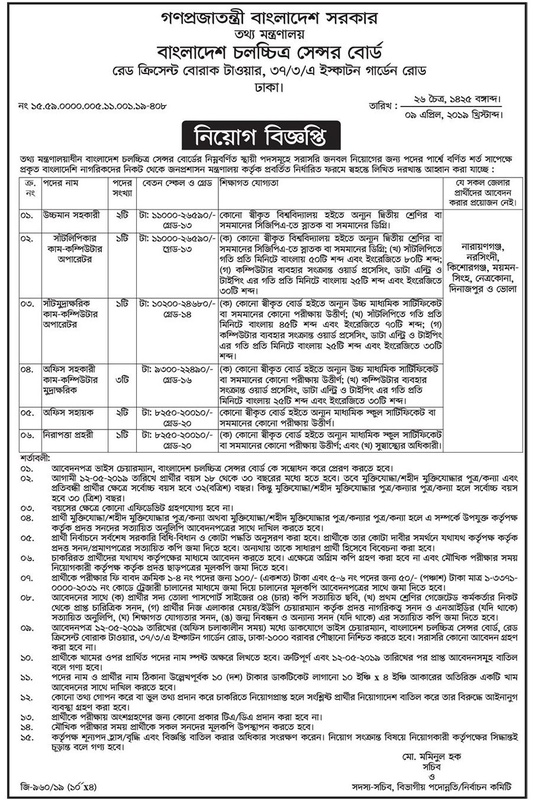 Bangladesh Film Censor Board Job Circular 2019 has been published by their authority in daily online job portal and to get from the best jobs and the education portal website in BD Jobs Careers- www.bdjobscareers.com. For the user understanding, we would like to inform you that, Bangladesh Film Censor Board under the Ministry of Information of the Government of the People’s Republic of Bangladesh. The Bangladesh Film Censor Board (BFCB) primarily responsible for the censor of movies which are meant for exhibition in the public places.